Tanzania’s ruling party has won the country’s controversial presidential election – despite claims of vote-rigging and deep concern at the semi-autonomous Zanzibar archipelago’s decision to annul polls. Opposition parties alleged rigging in Sunday’s (25 October) polling for presidential, general and local elections, where the ruling party in east Africa’s most populous country faced its first major challenge in decades of dominance. However, Tanzania’s National Electoral Commission (NEC) said John Magufuli, nicknamed “the Bulldozer” for his track record as works minister, received 58.46% of the vote, compared to 39.97% for his main rival, Edward Lowassa. “I duly declare John Pombe Magufuli to have been duly elected president of the United Republic of Tanzania,” said electoral commission chief, Damian Lubuva, on Thursday afternoon. Analysts had expected the result to be much closer. But African and other international observers in Tanzania said they were deeply concerned at Zanzibar’s annulment of polls over irregularities, urging leaders to “cast aside their differences” to ensure peace. The EU Heads of Mission in Tanzania – plus the Norweigan and Swiss embassies – put out a statement “appealing for calm” before the final result was known, and saying they were “very concerned by the chairman of the Zanzibar Electoral Commission (ZEC) statement that he intends to annul the elections, particularly since all the international observers gave a positive assessment of the quality of the voting process they observed. “The delegation of the European Union calls on ZEC to find a way forward that respects the will expressed by the Zanzibar people in the polls on 25 October. “Democracy, peace and unity in Zanzibar are at stake,” echoed a statement by international election observers, including teams from the African Union, headed by former Mozambican president Armando Guebuza, the Commonwealth, headed by former Nigerian president Goodluck Jonathan. While international observer missions have yet to release their final reports, preliminary observations suggest that flaws in the electoral process did not affect the overall result. In parliament, the long-ruling Chama Cha Mapinduzi (CCM) has already secured an overall majority pulling far into the lead, having won 159 out of a total of 264 seats, according to results released late Wednesday. Zanzibar’s electoral commission Wednesday said the vote on the Indian Ocean islands – where the 500,000 registered electorate also voted for Tanzania’s national president – must be carried out again, citing “violations of electoral law”. But election observers said they had assessed the polls as being carried out in a “competent and largely efficient” manner, and called on the commission “to act with full transparency” and specify exactly where irregularities took place. 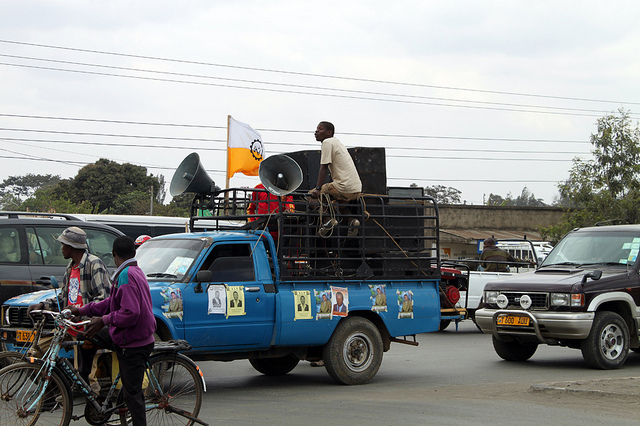 Analysts have warned Tanzania’s hard fought race could spark tensions, with the opposition providing the first credible challenge to the CCM since the introduction of multi-party democracy in 1995. The CCM ruling party has effectively held power since Tanzania’s independence from Britain in 1961.